Well I did it. Yet another layout for this month. That takes the grand total to 6! And think that will be it. I was hoping to get in one more but seem to have run out of time. There was just soo much inspiration around this month!! I have LOVED this photo pf Jayce and Chloe from the moment I saw it! They look so happy having a nice cuddle in the morning. Inspiration for this page came from two different places. My followers out there have probably realised by now that I just can't help myself when it comes to hearts! They make their way into most of my pages one way or another. So when I saw this sketch I just knew I'd have a photo perfect for it. 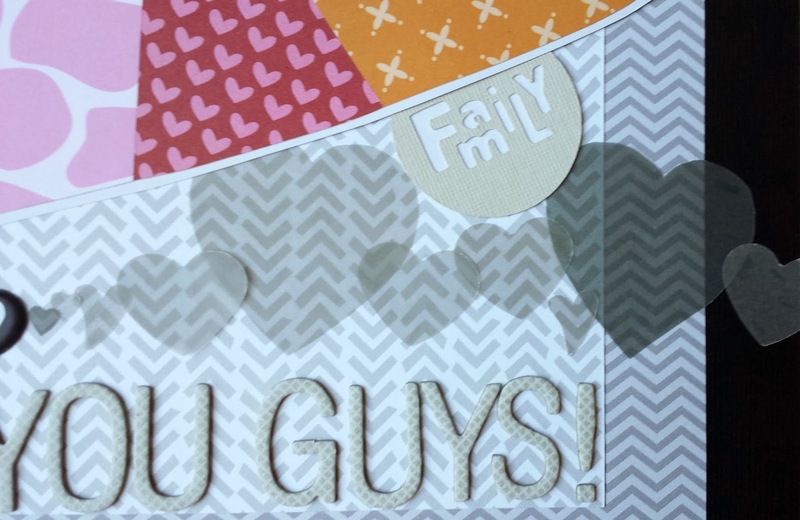 Second is from the January Inspiration Board at the blog of the Scrapbook Creation Magazine. You can probably guess that most of my inspiration came from the top left photo of the bright umbrella with the dull background. I couldn't resist re-creating it on my page. To create the heart I simply drew the it on white cardstock, divided it up, numbered the pieces then cut up the slices and then cut out that shape from Bella Blvd papers. 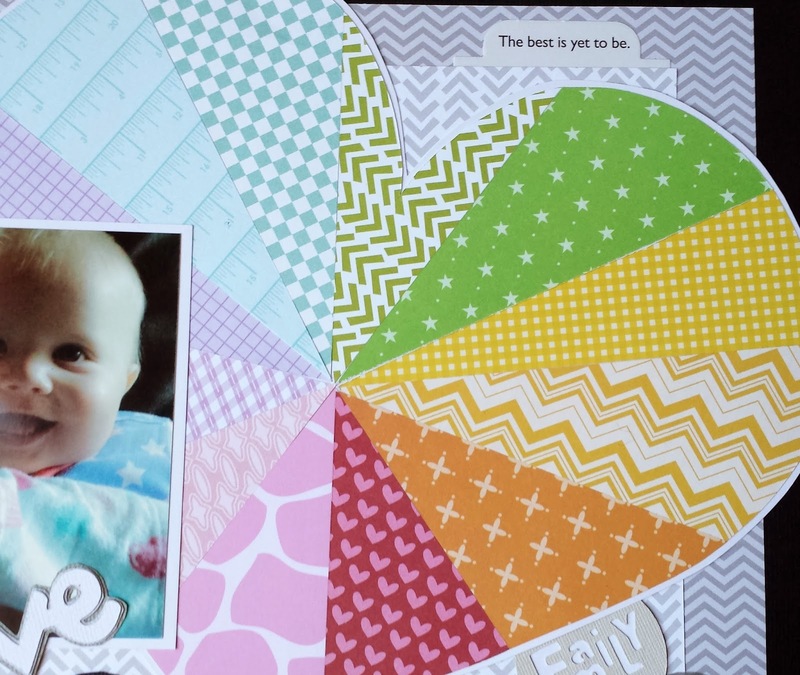 By using Bella Blvd I knew that any papers I chose the colours would go together well. Love that all their products. Then it was just a matter on sticking them back in order onto another piece on white cardstock. Like the inspiration piece I wanted the only colour to be in the heart hence I kept embellishments to a minimum. 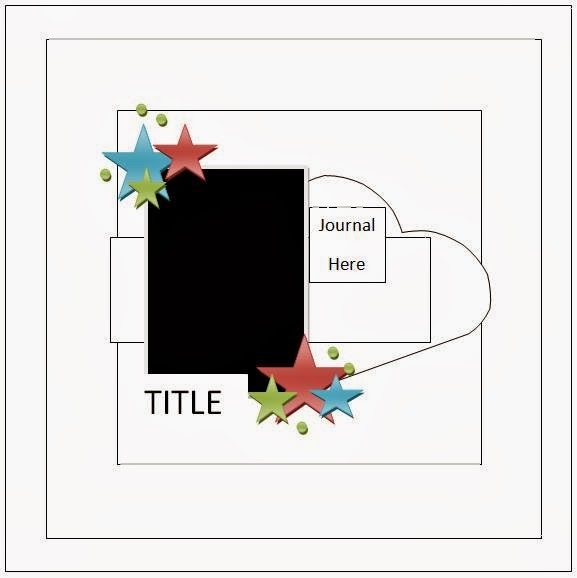 Instead making the title a bit more interested by backing the words love 2 and 3 times in grey-scaled cardstock. 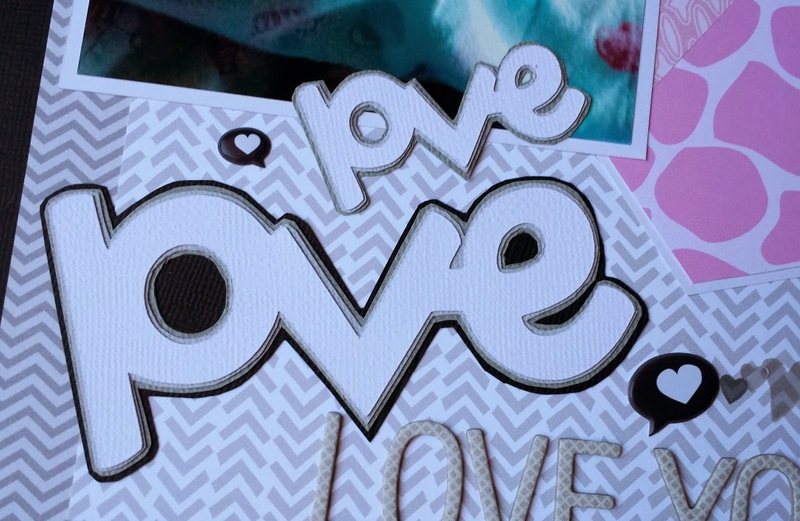 Plus two lines of grey vellum hearts to really hit home the love around the photo. I really do love these guys and it makes me soo proud to see them love each other soo much! They light up when they see each other! I know it will all change one day but until then I relish every moment! Cardstock - Black, dark grey, light grey, white. Love love love your page!! That multi colored heart is so fun!! 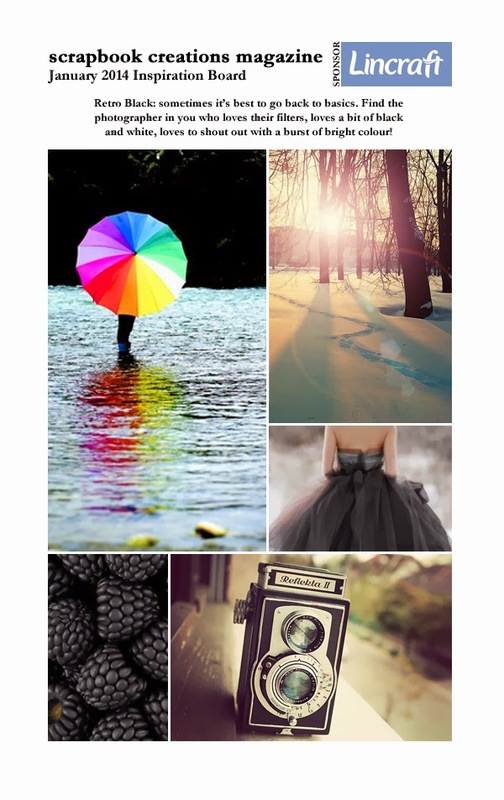 What a gorgeous page, such a great take on the mood board, I love how you put together the heart!